In this age of smart phones, home hubs and app controlled heating; it’s not surprising to see the emergence of Wi-Fi doorbell cameras. We will do just about anything to keep our home and family secure, so are smart doorbells a worthy investment? We are going to look at the five most popular doorbell cameras in the UK and see what they offer. The Ring doorbell camera offers you 1080HD video, which is a pretty high resolution for a doorbell camera. It allows you to see, hear and speak to anyone that comes to your door from wherever you are. 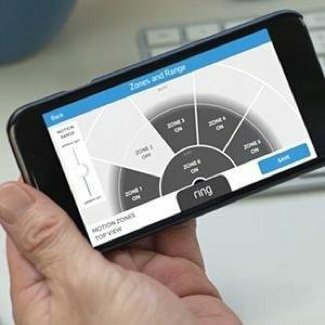 Ring provides instant mobile alerts and two way talk that you can answer from your mobile, tablet or PC. The Ring doorbell can be adapted to meet your needs; you can adjust the motion sensors. So if you own a cat that will be around your property, you won’t get an alert every time they move. The Ring Video Doorbell 2 includes a quick release rechargeable battery, so you are able to charge it without having to take the whole thing off your front door. If you are worried about it being switched off for any period of time then we recommend you buy 2 batteries, so you always have power for your Wi-Fi doorbell camera. The camera has a viewing range of 160 degrees and has adjustable motion zones. Don’t worry about having it outside in bad weather, as it can cope with temperatures as low as -5c and as high as 48.5c. it’s is also weather resistant meaning its fine getting rained on, snowed on or even hailed on. 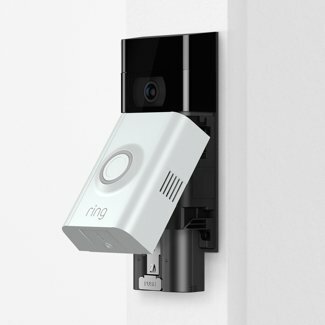 Ring will also connect to the Amazon Alexa, so you can see who’s at the door with an Echo Show or a Fire TV. 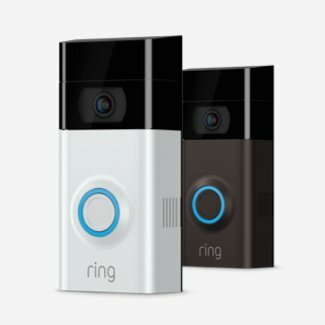 Ring is the most dominant presence in the Wi-Fi doorbell camera game, so you can be sure it’s the most advanced smart doorbell out there. However it does come with a rather large price tag. So it’s worth looking around to see what other doorbells are out there. 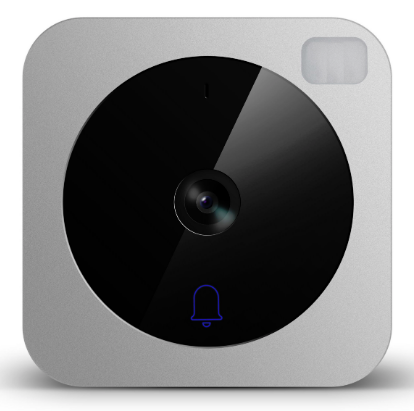 The SkyBell offers almost exactly the same features as the Ring Wi-Fi doorbell. The small difference being that with Skybell you get a notification when someone rings the doorbell, as well as motion notifications. The set up seems relatively simple, as you only use 4 screws to mount the Wi-Fi door bell and can use any existing doorbells power wires. 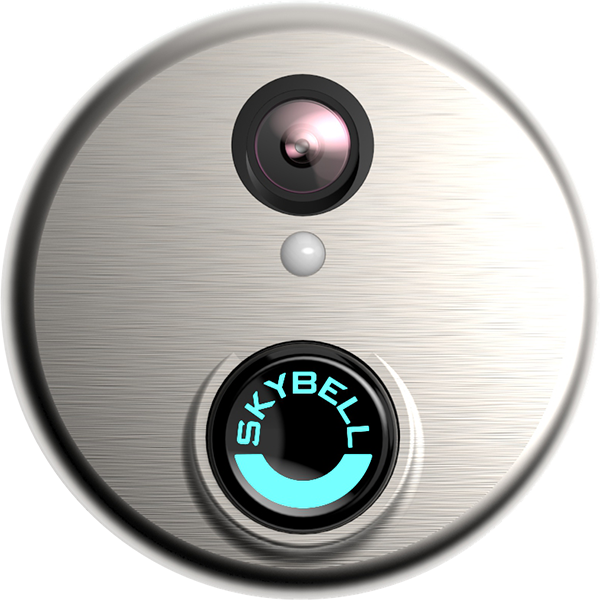 The Skybell also features 2 way audio, meaning you can have a conversation with whoever is at the door. The app allows multiple people to have accounts, so everyone that lives in your house can have view who has been to the front door. Even at night you will be able to see clearly who is at your front door in full colour night vision. Also, if you’ve not had chance to look at who’s been around your property all day, then there is an ‘Active History’ function that means you can review any missed visitors, any answered video calls and motion alerts. One of the biggest differences between the Skybell and Ring is battery vs hard wired, with the Sky bell being wired in. Depending on the doorbell you currently have, you may find the battery controlled Wi-Fi doorbell a little easier to set up. However if leaving something that controls your home security on a battery worries you, then having it wired in is a selling point. The Vivint Doorbell Camera is probably the most elegant looking Wi-Fi doorbell on the list; it has a thin, understated design meaning that it is considerably more subtle than a security camera and some of the other Wi-Fi doorbells. It’s also comes with the standard features of a Wi-Fi doorbell camera, notifications and video footage etc. The video quality is slightly lower than some other smart doorbells at 720p HD and has a night vision feature. So if you’re conscious of advertising that you have an expensive smart doorbell attached to your door, the Vivint might be for you. 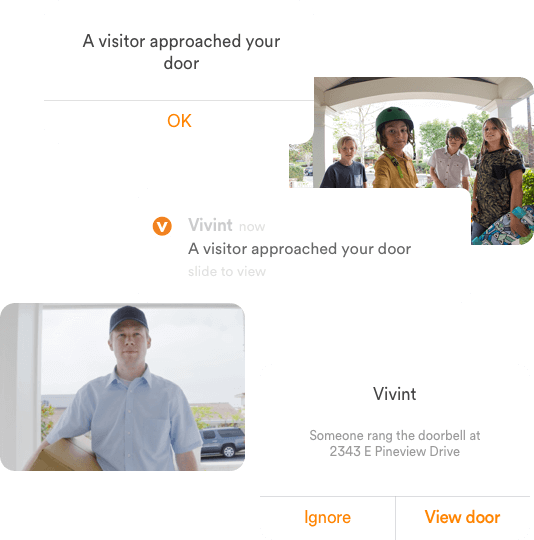 To be able to use a Vivint Doorbell camera you will need to invest in a Vivint smart home monitoring package and this will cost you extra in equipment and monthly fees. Installation is a bit more involved and requires a specially trained engineer to come to your house and set it up for you. They do not specifically state the price of the camera on their website, but if subtly is your thing then Vivint is definitely worth looking in to. August is a big player in the smart home security game. They are best known for their smart locks that allow you to open the front door with your phone. However they also have a Wi-Fi doorbell on the market, the August Doorbell Cam. 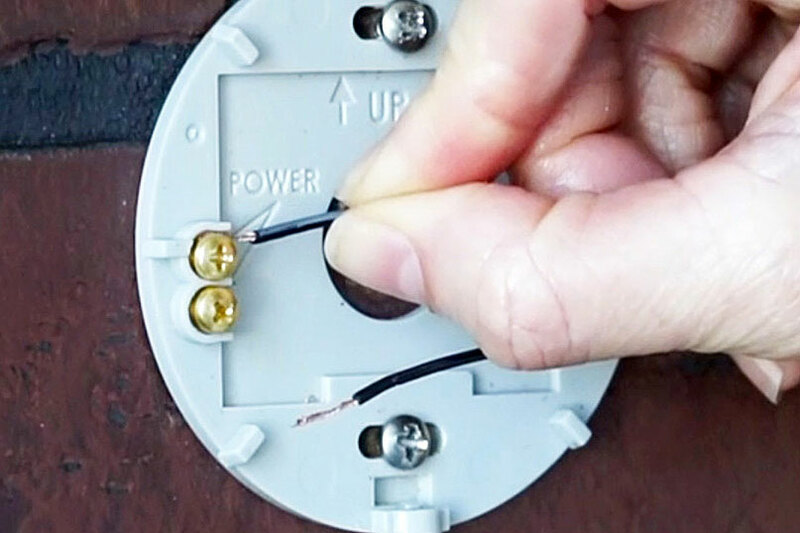 The August can be wired in using the same connection of your current standard doorbell, so there is no need to rely on batteries. You can then set it up inside by using the USB dock provided. August differs from other Wi-Fi doorbell cameras by not having a night vision feature, but instead including a full colour light that will illuminate anyone standing at the door. However like the others it allows you not only to live stream footage from your front door, but going back and review anything you missed. The camera will start recording when it senses movement, so you shouldn’t miss anything important. The instillation of the August is a bit more involved than some of the other options, as you are required to mount brackets and use a drill, which if you are not DIY minded, could be a struggle for you. Like all the other doorbell cameras the Vuebell doorbell comes with its own app, meaning you can check the video feed from anywhere. The doorbell itself includes HD cameras, 2-way audio and Night Vision. The Vuebell automatically detects unusual motions and alerts you by sending a notification to your phone. Or if you are out and someone rings the doorbell you can have a real-time two-way conversation with them. The camera is pretty good, with a wide viewing angle of 185 degrees and a vertical viewing angle of 118 degrees, meaning that the entire area around your front door will be covered. Like most of the camera doorbells, it runs on Wi-Fi, with Vuebell you can have it up to 100 metres away from your wireless router. That means it doesn’t matter where it is in your home, the connection will not suffer from inference. The doorbell also has eight infrared LEDs that can help you see things even at night. You can capture a clear photo at night within five meters. The Netvue is a good piece of kit if you’re looking to keep the cost down. However you won’t be able to connect the Netvue with any other smart devices, such as a smart lock or another smart camera. The Netvue does also have a slightly budget look about it. 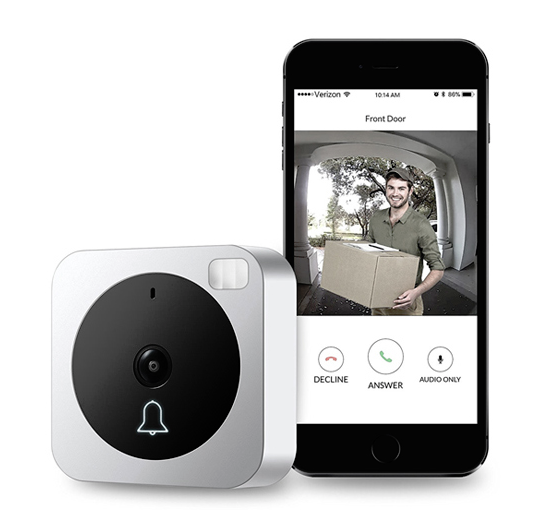 What most of the makers of these Wi-Fi camera doorbells fail to mention is that if you want to keep the footage of your home then you will need to subscribe to a monthly storage plan. As hours and hours of video footage takes up a lot of storage space, it’s not possible to store it all on the doorbell itself. Most companies will store your footage on a cloud based server, some may offer you some sort of free cloud storage, while others offer you none at all. The Ring Video Doorbell may be one of the most advanced cameras out there, but they offer no free storage. This means unless you open a live stream immediately after receiving a notification, you might miss what going on. For the motion based video to be stored you have to subscribe to a ‘Ring Protect Plan’. You can either pay £2.50 per month (£25 annually) for their Protect Basic Plan, which will store all live videos for up to 30 days. Or you can pay £8 per month (£80 annually) for the Protect Plus Program. This is useful if you have more than one Wi-Fi camera doorbell, as the plan covers unlimited Ring devices. You still only have 30 days’ worth of storage with this plan, but you do get an extended warranty and discounts in the Ring store. Skybell does not offer a storage plan of any sort. 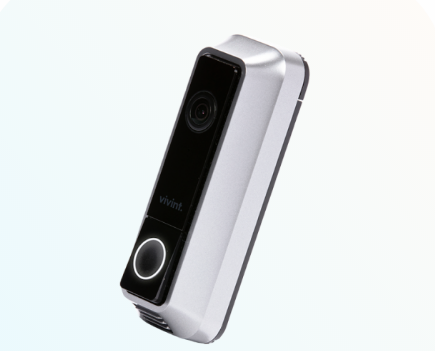 But it does offer free 7 day storage, so if you are looking for a WI-FI doorbell camera that can store footage for a long time, the Skybell is not for you. As with the price of the actual doorbell, Vivint are not advertising the price of their video storage plan. However on their website it says you get 30 days’ worth of video (which seems to be the standard) for a ‘fraction of the cost of most video storage solutions’. 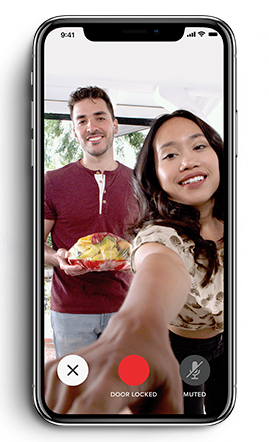 August does offer various plans, the Free Basic Plan offer 24 hours of saved video history; this comes automatically with the doorbell so there is no need to sign up. They do offer a ‘Premium’ storage plan, which is around £4 a month or around £50 annually. This offers 30 days of saved video history and saved video clips of all activity captured. On both plans you can download and share saved videos and everyone that has the August app can use it. Netvue does not offer any free video storage; instead they offer three paid plans. 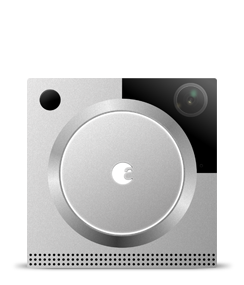 The first is Ring Video Storage which is around £2 a month (or around £20 a year); this plan will record and save any doorbell rings and conversations on the cloud for future viewing for 30 days. The second plan is around £6 a month (or £69.99 per year) and offers 14 days of 24/7 recording. This means your doorbell will be recording continuously and you can access and review the footage for up to 14 days. The third is around £1 per month (or £19 per year) and you are able view 10 second of any event, this is available to watch for 30 days. Buying a WI-FI doorbell is a good investment in the security of your home, especially if you want to be able to connect with people at your front door while you are away. However, you do need to consider how much you want to spend and how much you are willing to pay for the video storage. We hope this guide has been useful and make sure you check out our other blogs on home security.